Hi friends! How are you guys doing!? I know it’s Friday and that means I’d typically be sharing my weekly Things I’m Loving Friday post but right now my life looks like a blur of newborn cuddles, trying my best to give an energetic toddler plenty of attention, eating with one hand while rocking a baby and a whole lot of neglected housework. Life is a wonderful mess right now and THAT is, without a doubt, what I’m loving most this week! I thought about compiling a short list of other things I’m loving at the moment but they’d pretty much all be newborn baby products and easy-to-eat snacks (I’m looking at you cereal and popcorn!) so I figured I’ll just keep note of some of my newborn favorites in the back of my mind for a big post to share on the blog at a later date once we’ve had the chance to really immerse ourselves in life with the newest member of our family. The above paragraph is basically my long-winded way of saying I don’t have a traditional TILF post scheduled for today but I DO have a roundup of some awesome book recommendations for you! I often include shout outs to great books I’ve recently read in my Friday blog posts but it wasn’t until I had a blog reader reach out to me to ask if I could share a “master list” of my current favorite reads that I realized it might be helpful to have all of these recommendations in ONE post. Today’s post features my favorite reads from this year (so far!) 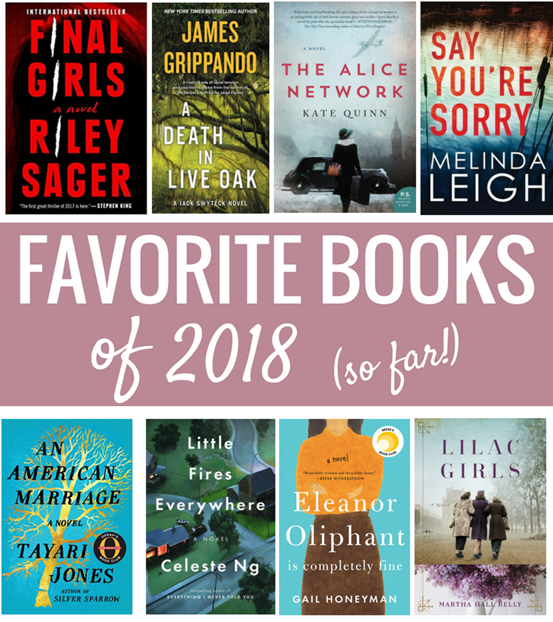 and I am planning to share a follow up to this post at the very end of the year with my favorite books from the second half of 2018 as well. If you have any recommendations for books you’ve absolutely loved recently, please feel free to let me know in the comments section of this post. And just FYI, you can always find a constantly updated list of books I’ve read and loved on the Books page of my blog. I hope one of the books mentioned below catches your eye and makes it on your summer reading list! This book came highly recommended to me by two blog readers who said they both finished it in two days because it was so gripping. Apparently this book has a two-day reading window because Final Girls kept me on the edge of my seat (errr… bed) for the two nights it took me to devour every last word. 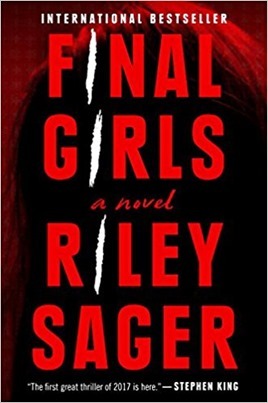 Final Girls is a suspenseful thriller that follows the life if Quincy Carpenter, a woman who managed to survive a brutal massacre that killed five of her friends when she was on a weekend trip to a cabin in the woods in college. Dubbed one of three “Final Girls,” one of three women who survived horrific killings when others did not, Quincy is trying her best to lead a normal life. 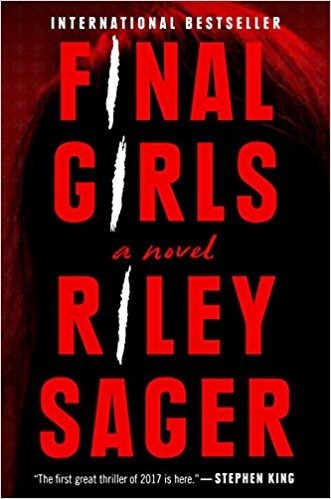 Then Lisa, one of the three Final Girls and the only one of 10 sorority sisters to survive a sorority house murder massacre in college, is found dead and Sam, the other Final Girl, shows up on Quincy’s doorstep. Quincy’s life is turned upside down again. This book includes twist after twist and there was not one dull moment in the whole thing. If you’re in the market for a new thriller, definitely check it out! There’s a reason this book received a lot of hype in the past year. (It is a New York Times bestseller and was Amazon’s Book of 2017.) 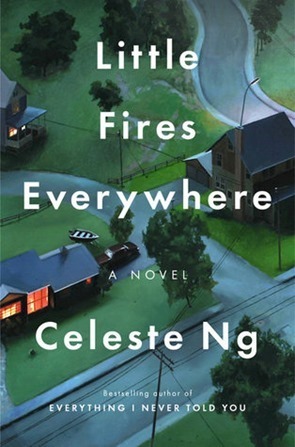 Little Fires Everywhere was an engrossing read from the beginning and the author writes about the characters in this novel in a way that feels believable and authentic. The book takes place in Shaker Heights, a near-perfect suburb of Cleveland, and follows the Richardson family, a wealthy family who seems to have it all together, and Mia and Pearl, a mysterious mother and daughter who arrive in town and rent a small house from the Richardsons. Family friends of the Richardsons attempt to adopt a Chinese-American baby, erupting a custody battle that divides not only Shaker Heights but the Richardsons and Mia and Pearl as well. As the two families’ lives become intertwined and the custody battle intensifies, secrets from the past and present are revealed. A theme of this book is motherhood, a mother’s love and what it truly means to be a mother. Little Fires Everywhere felt different from other books I’ve read in some way – perhaps because of the author’s incredible talent for writing about such different characters in believable and intriguing ways – and the book made me feel invested in the characters and their stories from the beginning. 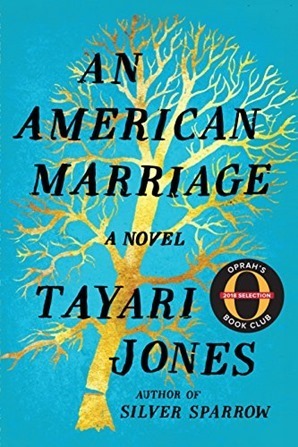 If there is one book I’ve seen popping up all over the internet as a “must read” recommendation this year, it’s An American Marriage. For some reason I kept skipping over it when I was looking for a new book to read but when I finally curled up with this book at the end of a long day, it immediately roped me in and I understood the hype. The author is a very talented writer and believably writes from the perspective of three different characters as we follow the lives of Celestial, Roy and Andre. An American Marriage begins by giving us a glimpse into the relationship of Celestial and Roy, successful newlyweds living in Atlanta, whose lives are ripped apart when Roy is falsely accused of a crime and sent to prison. The book follows their relationship as they struggle to keep their marriage in tact through Roy’s incarceration and Celestial’s desire to continue to live her life. Seeking solace and support from her childhood best friend, Andre, Celestial is more conflicted than ever while Roy struggles with his own battles both inside of prison and out once he is released and finds himself longing for the comforts of his old life with Celestial. This book was recommended to me by a handful of you guys in the past and when I initially read the description I admittedly thought the book sounded kind of boring. Fast forward a few months and I found myself wanting a break from some of the suspenseful books I’ve been reading lately and I turned to Eleanor Oliphant is Completely Fine. Now I’m just kicking myself for not reading this one sooner! I loved the author’s writing style and despite the lack of suspense I was used to in many of my recent book selections, Eleanor Oliphant is Completely Fine proved to be a page-turner for me. Eleanor is an intriguing main character. She’s extremely quirky, completely unaware of her lack of social skills and somehow incredibly engaging to read about. I quickly found myself rooting for Eleanor as I learned more about her past and the person she is and who she is becoming. 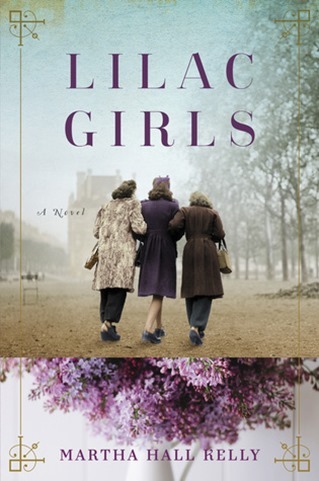 I thought Lilac Girls was an incredibly moving book and while I would absolutely recommend it, I do so with a warning that this book is heavy and hard to read. It’s a WWII historical fiction novel that follows the lives of three women (two of whom the author based on real women). Caroline is a former Broadway actress know in New York City’s social scene with a heart for helping French children and families through her job at the French consulate. Kasia is an energetic Polish teenager drawn into the underground resistance movement. Herta is a determined and ambitious German doctor hired to work at a Nazi concentration camp. As the novel progresses and the lives of Caroline, Kasia and Herta begin to intertwine, the story becomes more and more gripping and horrifying. Lilac Girls is well-written, moving, vivid, extremely unsettling and memorable. 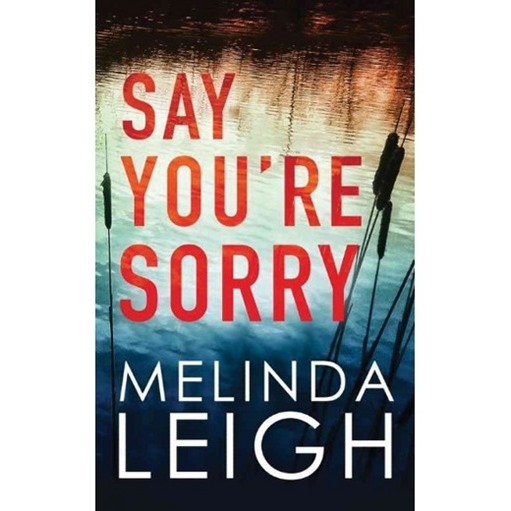 Say You’re Sorry popped up as a recommended read for me on my Kindle and after reading the description and 900+ positive reviews, I downloaded it and began reading. I liked the main character almost instantly and the book piqued my interest from the very first page. Say You’re Sorry follows Morgan Dane, a recently widowed lawyer and a mother of three, as she’s settling back into her childhood hometown and accepting a new career opportunity. Everything changes when Morgan’s babysitter is murdered and her neighbor, Nick, whom she’s known all her life, is accused of the crime. Morgan fervently believes Nick is innocent and agrees to represent him as his lawyer, turning her community against her, with the exception of an ex-police officer turned private detective she dated in high school, Lance Kruger. As Morgan and Lance set out to prove Nick’s innocence, their potential list of suspects increases and so does the risk surrounding their personal safety. The Alice Network was easily one of my favorite reads of the year so far. 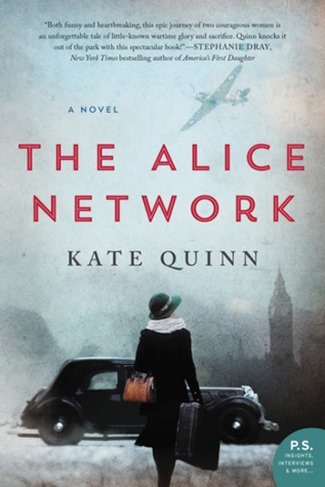 It hops back and forth between 1915 and 1947 and follows the lives of Eve Gardinier, a bright but unassuming woman recruited to be a spy during World War I, and Charlie St. Clair, a pregnant college student holding onto hope that her beloved cousin Rose, who disappeared from Nazi-occupied France during World War II, might still be alive. The writing is fantastic and the story moves along quickly with plenty of intrigue, as the lives of Charlie and Eve collide and troubled pasts and secrets are revealed. While this novel is historical fiction, The Alice Network was very real and I was fascinated to learn more about the lives of women spies and their incredible bravery during World War I. 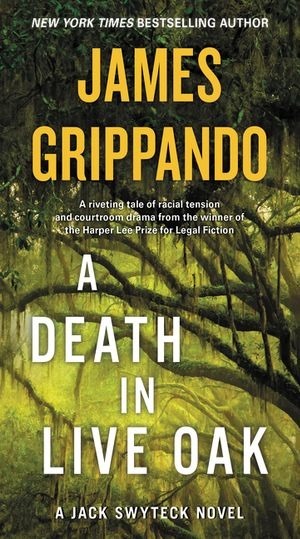 A Death in Live Oak is actually part of an ongoing series that follows criminal defense attorney Jack Swykeck but I didn’t realize this going into the novel, nor did it matter since I never felt lost or confused and think the book stands well on its own. My mom actually recommended A Death in Live Oak to me when she was about halfway through this novel and we really enjoyed reading it at the same time and discussing all of the twists and turns. The book begins after the body of Jamal Cousin, the president of Alpha, the preeminent black fraternity at the University of Florida, is found lynched and hogtied over the swamps of the Suwanee River Valley. Mark Towson, the president of a prominent white fraternity, is quickly accused of the crime after an incriminating text message he supposedly sent is discovered on Jamal’s phone. Defense attorney Jack Swyteck agrees to represent Towson and what follows is a a page-turning story that centers around racial unrest, political ambitions and the mystery surrounding Jamal’s murder. I flew through this novel and while parts of it were very hard to read (truthfully the prolog was one of the hardest parts to get through), the author included so many twists and turns that the story flew by and kept me completely engaged until the very last page. Any novels you highly recommend I add to my summer reading list this year? I just finished The Marriage Lie! Kept me in suspense. ‘The Perfect Mother’ by Aimee Molloy was a good thrilling mystery. And because I know you love ice cream, I recommend “Sweet Spot: An Ice Cream Binge Across America” by Amy Ettinger. Enjoy! These are some great choices! I just read The Marriage Lie and I’m starting The Perfect Nanny and Woman Last Seen on Her Thirties for my book club. Also loved The Couple Next Door (she has a new one out, Stranger in the House that I want to read) and some not so new ones this year… confessions of a Domestic Failure (great mom read) and The Little Paris Bookshop. Wish I had more time to read with the little one! Congrats again on the beautiful baby. As I know that family is something that is very important to you, I wanted to encourage you to speak out against the 2000+ children taken from their parents, with no apparent reunion plan. I can’t imagine the pain for those kids and their parents. Red or blur, regardless of politics, I can’t see how torturing kids is okay. For things to change, I think we need to speak out and keep speaking up. Two of my all-time favorites are Rebecca by Daphne du Maurier (inspired a Hitchcock film) and A Tree Grows in Brooklynn by Betty Smith. So impressed you are reading so much with littles! This is a great list. I still haven’t read Eleanor Oliphant, but I think I will now! Happy 4th! I just finished Before The Fall by Noah Hawley and loved it! It was very suspenseful and kept me turning the pages until the very end! I’m almost finished reading Eleanor Elephant and am loving it! Thanks for the recommendations! I have enjoyed No One Ever Asked by Katie Ganshert and The Hate U Give (I forget the author off the top of my head). Both have to do with race and are challenging but worth it. I’m excited to do in to some of these! I second the recommendation for The Great Alone by Kristen Hannah. It’s the best book I’ve read in a very long time… one I couldn’t put down. A bonus – it’s a great read about Alaska in the heat of this summer in the south! 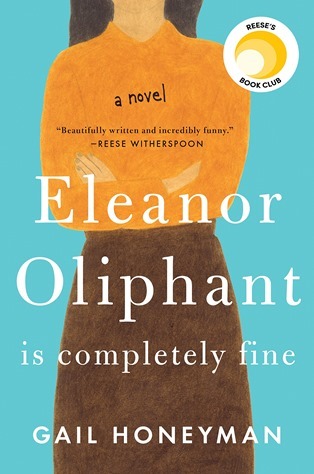 I also loved Eleanor Oliphant is Perfectly Fine! What a joy. I read two books I n your list during my vacation and then read theee more by the same authors. I always look for your book recommendation posts. Thank for sharing! I recently finished The Seven Husbands of Evelyn Hugo and it was FANTASTIC. Probably the best book I’ve read this year. Highly recommend!